The late great Robin Williams' final on-screen performance is put on display in the first trailer for Boulevard. After debuting at the Tribeca Film Festival in 2014, Starz picked up the drama earlier this year, which arrives in theaters July 10. Robin Williams also stars in the upcoming Absolutely Anything, but he will not be seen on screen, providing the voice of Simon Pegg's dog. Boulevard is a complex, life affirming, and surprising film that follows a married but closeted 60 year-old bank employee (Robin Williams) whose life changes in unexpected ways after recklessly picking up a young male hustler. Kathy Baker, Bob Odenkirk, Giles Matthey, and up-and-comer Roberto Aguire round out the supporting cast in this drama. While it's too early to tell now, it's certainly possible that Robin Williams could be one of the first potential Oscar contenders to emerge this year for his performance in Boulevard. Dito Montiel (A Guide to Recognizing Your Saints) directs from a screenplay by Douglas Soesbe, with Monica Aguirre Diez Barroso, Ryan Belenzon, Mia Chang and Jeffrey Gelber serving as producers. 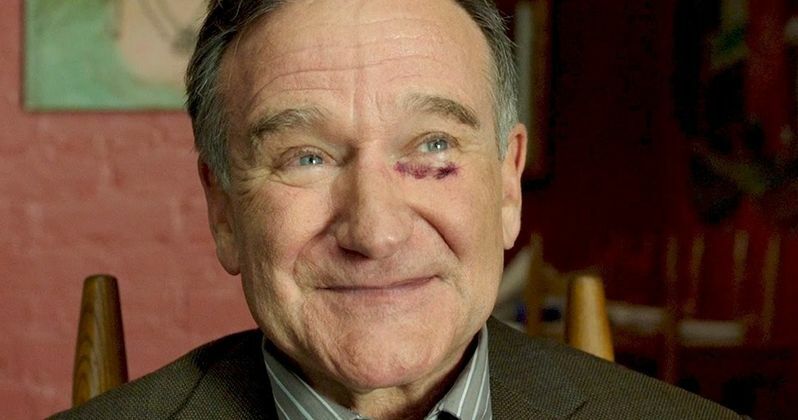 Do you think Robin Williams' performance is award-worthy based on this trailer? Check out the first footage and chime in with your thoughts.